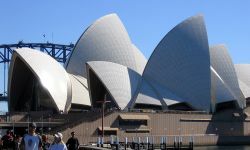 Nacel offers international students the opportunity to complete an academic year program in Australia! This is a beautiful destination, where international students can enjoy a safe and relaxed environment with abundant space and social activities. High Schools in Australia reflect a deep multicultural diversity, with students from all backgrounds, mixing and forming friendships that extend beyond the classroom. International students participating in a High School exchange in Australia will be placed in Perth, Adelaide, Sydney, Canberra, Brisbane areas. The exchange student in Australia enrolling in a high school will study formal subjects at their age's appropriate levels. 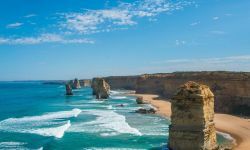 International students on an exchange program in Australia will fully participate in the school activities and family life, and will have opportunities to take part in many extracurricular activities. A High School in Australia always offer excellent campus facilities. Australia became the third country where parents would like their children to study in, after the UK and the USA! Additionally, our selected coordinators offer a 24/7 monitored assistance during the student’s program. 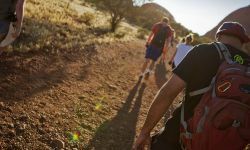 Coordinators will maintain contact to follow up on the participant’s experience and progress, and reports will be supplied after completion of a year of High School in Australia. Interested in New Zealand as well? Check our dedicated information about exchange programs in New Zealand. 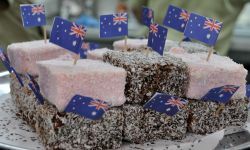 Students are placed in welcoming Australian host families on a full board basis (that means Breakfast, Lunch (or packed lunch during school days) and Dinner). 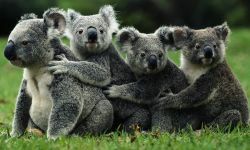 Australian host families are internationally known for being warm, open and outgoing. 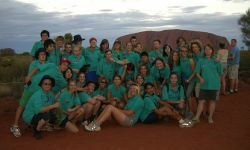 Students will be invited to join the family in day to day activities, with the main purpose of discovering and learning all about the Australian culture. 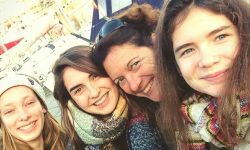 International pupils must be aware that during their high school exchange in Australia, there is also the possibility of being placed in 1 or 2 host families. Information about your host family will be placed prior to your departure. Late applications may be considered on request. Please contact us before applying to this program, in order to check availability. Once your application meets all the criteria above, we will issue an acceptance letter and an invoice. Documentation for starting the VISA process for your high school exchange in Australia will be sent to you. Please make sure to check with your local Australian Embassy the specific requirements of what you need in order to submit your application. Apply at least 6 months before arrival. International students must be a maximum age of 17 years and a minimum age of 14 years on arrival in Australia (Students cannot turn 18 in Australia – except in their last month of stay). They must also have an excellent English level (equivalent of IELTS Exam with a 5 score). Students must also show maturity and experience living away from home at all times. It’s important that students are flexible and willing to adapt to new environments. Leyla lives in Australia for two months now, she is very happy attending high school there. "I assist the German teacher in the classroom and prepare exercises at home. It is good to see that I can support the students in learning German. We get along very well! I have met a lot of new people here since I arrived, especially at school, who are very friendly and helpful. I really feel comfortable here. I enjoy the time!"